From the moment you arrive in Dublin we support you all the way. If you have booked a transfer our driver will be waiting for you and will bring you to your accommodation. We offer a choice of accommodation options and will arrange it as close as possible to your host company/classes so you can commute easily every day. Most foreign students/interns that come to Ireland initially stay with Irish host families until they become familiar with the city and their new environment. This gives them a perfect opportunity to integrate fully into Irish life, while enjoying the friendliness, warmth and sincerity for which Ireland is renowed. The informal atmosphere of family life also helps greatly in absorbing the language in everyday situations. Interns are placed with host families in safe residential areas of the city as close as possible to their host company. The informal atmosphere of family life also helps greatly with dealing with homesickness and gives them the opportunity to search ( if they wish) for private accommodation for the rest of their stay. 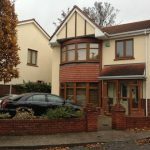 Useful websites for looking for private accommodation are www.daft.ie, https://www.rent.ie/ please note it is usual to pay one month deposit + one month rent in advance so make sure you can afford this. Another popular option is self-catering rented accommodation, often shared with other students. Apartments usually house 3-6 students in twin or single rooms, sharing kitchen, living room. Twin and single rooms are en suite. This form of accommodation is subject to availability and can be in short supply so is not guaranteed, we would require a minimum of 6 weeks notice to search availability. Campus accommodation is another form of accommodation for Interns. This is mostly available during the summer months. Residential accommodation offers Interns the benefits of “student village life” often resembling small villages with on-site facilities such as shops, laundrettes, restaurants etc. 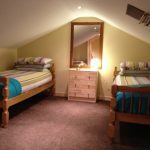 Accommodation is usually single room en suite in a 4 bedroomed apartment. In all of the above options we have negotiated the cheapest rates, you can opt to book one of these for your entire stay or just for the initial 1-4 weeks while you become familiar with the city and find your way around. We are here to assist you every step of the way.